ENERGY STAR™ was developed by the United States Environmental Protection Agency (USEPA) in the early 1990s, in an effort to reduce energy consumption in the United States and greenhouse gas emissions from power plants that produce electricity using carbon based fuels. Since 1996, ENERGY STAR™ has been a joint program overseen by the USEPA and the United States Department of Energy (USDOE). Energy consuming appliances and devices that display the ENERGY STAR™ logo generally use 20% to 30% less energy than required by United States federal government regulations. Home Performance With ENERGY STAR™ is an offshoot that was developed in the United States during the past two decades via a public process involving a number of parties that have a stake in developing standards for home energy efficiency, including: developers, builders, homeowners, home construction materials producers, appliance manufacturers, and energy efficiency experts, among others. The initial Home Performance With ENERGY STAR™ energy efficiency programs were run by the New York Energy Research and Development Authority (NYSERDA), Wisconsin Focus on Energy, and Austin Energy. Home Performance With ENERGY STAR™ standards were refined and expanded based on these initial pilot programs that were managed on the local and state levels, and early on in their development the standards incorporated Building Performance Institute (BPI) energy efficiency standards for building appliances and materials to ensure adoption by the construction industry. The Home Performance With ENERGY STAR™ energy efficiency standards have been adopted internationally by other developed countries, such as Australia, Canada, Japan, New Zealand, Taiwan, and the European Union countries. Building materials such as sealants, insulation, roofing materials, windows, and doors that have demonstrated their ability to save energy 15% more rigorously than United States federal government standards also earn the ability to display the ENERGY STAR™ logo. The ability of individual building materials to achieve the 15% energy efficiency threshold is highly dependent on and measured in relation to how they impact the efficiency of a home’s heating, ventilation, and air condition system (HVAC), or heating system for homes without air conditioning. Therefore, to actually achieve the potential energy savings using building materials that have earned the ENERGY STAR™ logo, Home Performance With ENERGY STAR™ needs to be implemented throughout a home to ensure the HVAC or heating system in the home is sufficiently energy efficient. 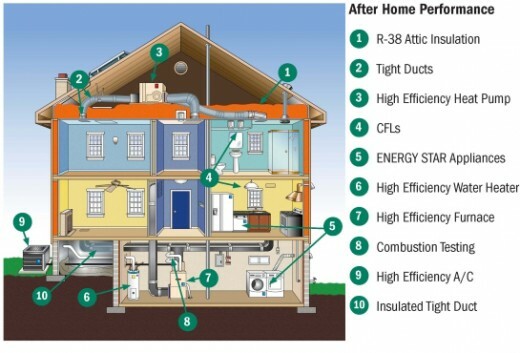 Rather than focusing on a single energy wasting component within a home, Home Performance With ENERGY STAR™ takes a holistic approach to assess how improvements in several energy wasting components within a home can work together to significantly reduce the energy consumption of a home’s energy consuming devices to reduce energy waste and improve the energy efficiency of an entire home. The objective of Home Performance With ENERGY STAR™ is to provide more consistent temperatures in all rooms and better ventilation and humidity control throughout a home, with the ultimate goal of using energy more efficiently to lower utility bills and save energy consumers money. Once all the existing energy loads have been evaluated and modifications have been made to improve the energy efficiency of a home, then look at renewable and alternative energy options such as: solar thermal water and space heating, solar photovoltaic (PV) electricity, and home wind power (if practical). Highly energy efficient geothermal heating and cooling systems could also be evaluated to provide additional energy efficiency improvements. The reason why the renewable and alternative energy options are the last options that are considered during implementation of Home Performance With ENERGY STAR™ is because these tend to be considerably more expensive than energy efficiency upgrades. While renewable and alternative energy options may improve a home’s overall efficient use of energy in some cases and are appealing to many green minded consumers, they are not the best use of the limited money that a typical homeowner has available to implement energy efficiency recommendations for their home, and should only be considered after all of the possible conventional energy efficiency options have been assessed and implemented. The following are common recommendations made by ENERGY STAR™ Building Performance Institute: (BPI) professionals for improving the energy efficiency of homes. Some of these improvements are expensive; however, they should pay for themselves over time via energy cost savings. While some of these improvements, such as air sealing and duct sealing are easy to do, they can have adverse consequences if not done correctly, including back drafting of combustion appliances, which could lead to elevated carbon monoxide (CO) levels and possible adverse health effects for home occupants, including death. It is recommended that improvements be made by BPI professionals to ensure that quality work is performed that improves the efficient use of energy in a home, but does not risk the safety of home occupants. Many homes that were built before home building codes required certain levels of insulation may have inadequate insulation. Adding insulation to the attic and exterior walls of a home is a cost effective way to improve the efficient use of energy to heat and cool a home. 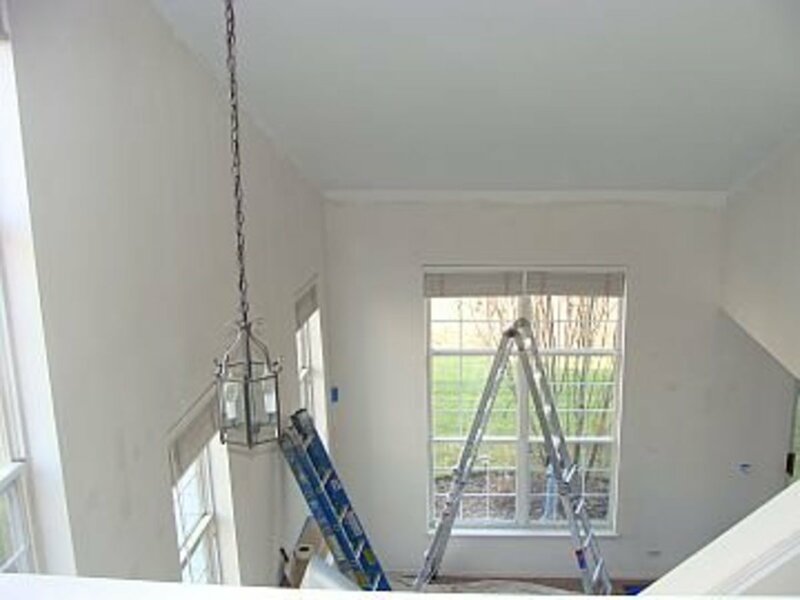 It is important to not overlook insulating less obvious places within a home. These include: entrance ways to an attic, areas where an upper floor of a home overhangs the lower floor(s) and is exposed to the exterior (cantilever construction), the ceiling of an unheated garage that has living space above it, basement crawl spaces behind exterior walls, and the area under main home entrance. Sealing up the obvious air leaks in highly visible locations, such as doors, windows, and electrical outlets is a good place to start. However, not all air leaks result in the same amount of heat loss in the winter or heat gain in the summer. Some of the less obvious air leaks can actually cause greater loss of climate controlled air from a home. The less obvious places in which air leaks should be sealed include: the area around chimneys, openings in attics, where the home’s wall cavities connect with the attic, piping or other conduits to attics, and around recessed lighting fixtures. It is important to ensure that the wall cavities in the attic are properly sealed, so the cold air does not drop through the insulation in the walls, which can create a convective loop and degrade the insulation performance for the entire stud bays in the walls. 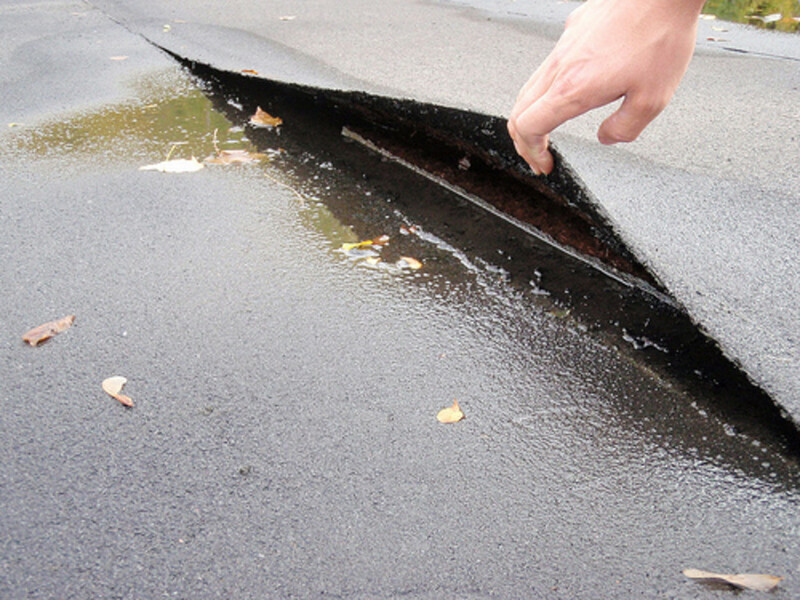 The fact that hot air rises, referred to as the stack effect, makes sealing leaks to an attic more important in climates in which heating is the primary energy concern. Series pressure tests can help to estimate how much air is leaking from the attic to identify air leaks that should be sealed, with the goal of reducing the ability of unheated attic air to commute with climate controlled air within the home. A frequent misconception is that a home can be too tight, thus not allowing fresh air to filter in from the outside to replace indoor air. To maximize the efficiency of energy use, a home shell should be as tight as budget and physical constraints allow. Mechanical ventilation should be added to address the need for good air quality for home occupants, per ASHRAE Standard 62.2. This can be accomplished using Heat Recovery Ventilators (HVR) and other ventilation strategies. Single pane windows that are typically present in older homes can be a significant source of heat loss in the winter and heat gain in the summer, and are a major contributor to the inefficient use of energy within homes. Replacing single-pane windows with ENERGY STAR™ rated multiple pane windows can make a significant positive impact on energy usage within a home. There are many factors that make windows better insulated and capable of improving their ability to gain or loss heat which affect the efficient use of energy within a home, from the number of window panes, to inert gases between the panes, to glazing on the surface of the window glass, to the construction of the window frame. Windows can cause heat gain or loss in a home by the following routes: directly conducting heat through the glass or glazing, radiating heat into or out of a home (e.g., allowing the sun’s rays to enter a home and heat it), and leakage of air through the window or window frame. 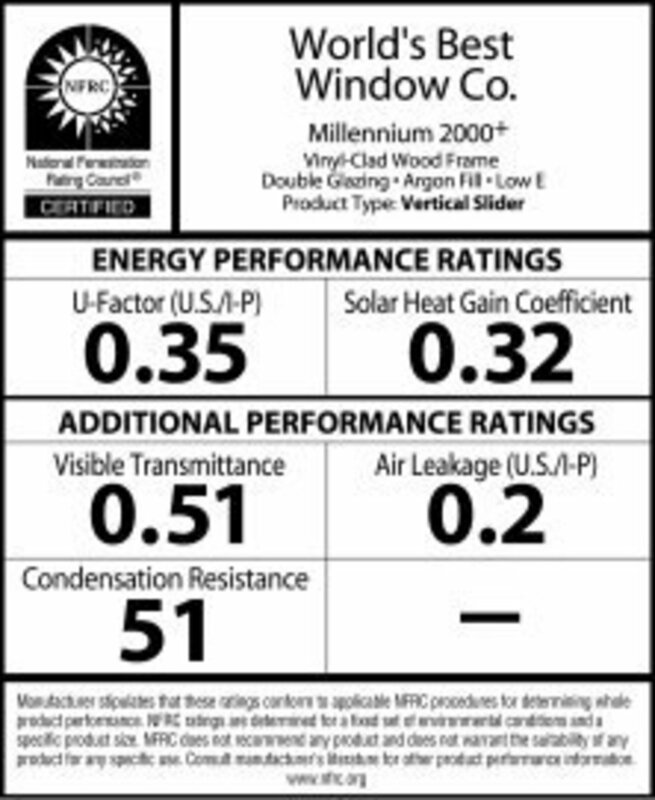 These heat gain and loss characteristics associated with windows are measured, calculated and rated according to two energy performance standards U-Factor and Solar Heat Gain Coefficient (SHGC) to determine if windows meet the ENERGY STAR™ rating criteria. U-Factor is a measure of how quickly a window conducts heat flow. In other words, a window’s U-Factor is a measurement of how much heat a window allows to pass through the window pane(s) and surrounding frame, excluding the impact of sunlight (solar radiation). A lower U-Factor rating means a window conducts less heat and is more energy-efficient. Solar Heat Gain Coefficient (SHGC) is a measure of how much solar radiation from the sun that a window allows to enter a home, which then heats up the inside a home. A lower SHGC rating means less solar radiation and resulting heat is transmitted into a home, while a higher SHGC rating means a window transmits more solar radiation and resulting heat into a home. It is important to understand that due to climate variations within the United States and other countries that utilize the ENERGY STAR™ rating criteria, not all windows are suitable for all climates. ENERGY STAR™ has established four regional climate zones within the United States to assist homeowners and builders with making the best window choices for their climate. For example, if one lives in a regional climate that is generally warm and the main concern during most of the year is keeping the home cool, such as Florida, then a window with a low SHGC rating is a much better choice to minimize heat gain within a home and reduce cooling needs during the summer. Conversely, in a cold regional climate such as Maine, in which keeping a home warm is the primary consideration, a window with a high SHGC rating would be preferable to allow solar radiation to pass through the window and help to heat the home during colder months, thus reducing a home’s heating needs. It is not uncommon for homes to have air leaks in ductwork and poor air flow through ducts that deliver heated or cooled air, which can result in stale air and rooms that are not heated or cooled adequately. Sealing openings in ducts and duct joints with mastic sealant, heat-resistant metal tape, or heat-resistant sprayed-on sealant is a cost-effective way to increase air flow and to maximize the efficiency of a forced air heating or cooling system. Mastic, which is a water based adhesive, is particularly useful for duct sealing applications, since it is designed for longevity in the extreme temperature differentials that ducts are placed under. Leaky and uninsulated air ducts that run through cold attics, crawlspaces, or basements lose approximately 20% of their heating capacity; which means that 20% of the heat that is created by a home’s heating system is being wasted due to leaky and uninsulated ducts. Consider that ducts may carry heated air that is 120 degrees Fahrenheit through an unheated attic, crawlspace, or basement area this is only 20 degrees Fahrenheit or even colder. After properly sealing ducts, a home owner may want to further reduce heat lose from ducts in unheated attic, crawlspace, or basement areas by insulating them with insulation materials that are rated for temperatures that are applicable to heating ducts. For the comfort of home occupants and to maximize the effectiveness and efficiency of a forced air heating and cooling system, the duct system should be balanced to optimize air flow to all rooms within a home. Pipes that carry hot water for household uses or heating (in homes that are heated via hot water baseboard or radiator heating) through unheated attic, crawlspace, or basement areas are susceptible to losing heat and wasting energy. To maximize the use of energy with a home, exposed hot water pipes should be insulated wherever possible with insulation materials that are rated for temperatures that are applicable to hot water pipes. Furnaces, boilers, or air conditioners that are more than ten years old can be replaced high-efficiency ENERGY STAR™ heating and cooling equipment to save on energy usage and expenses. New high-efficiency furnaces, boilers, and central air conditioners can save energy consumers up to twenty percent on their heating and cooling costs. If heating and cooling equipment is older than ten years (it is not uncommon for older homes to have equipment that is decades old), the savings can be even greater. Other benefits to upgrading to modern furnace, boiler, or air conditioner in conjunction with implementing the recommendations of a Home Performance With ENERGY STAR™ Whole-Home Home Energy Audit is that it may be possible to reduce the size and power demand of the central heating and/or cooling system, which reduces energy demand and saves money. 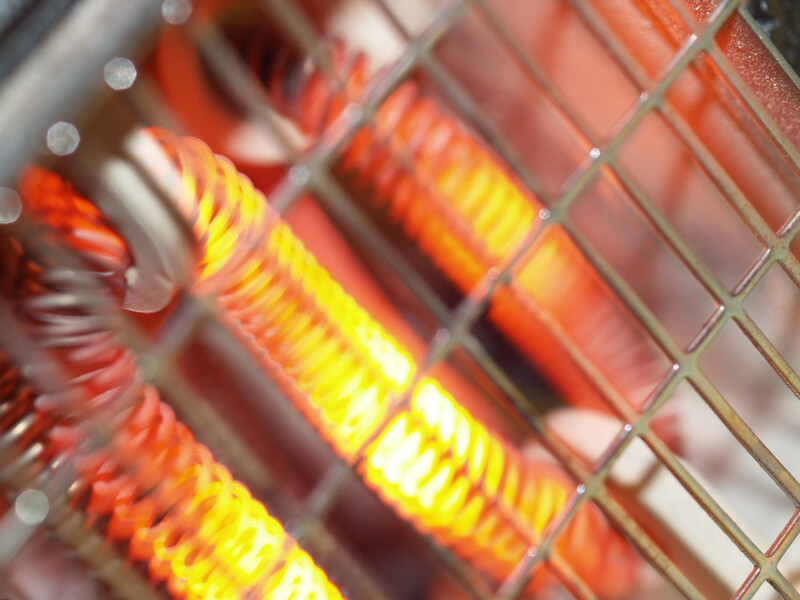 Additionally, modern high efficiency heating and cooling equipment typically operates in dual stage operating mode, which means the equipment runs quieter since most of the time it operates in the lower speed mode, which has the added benefit of providing better distribution of heated and cooled air throughout a home. According to the United States Energy Information Agency (USEIA), air conditioners account for between 12% and 16% of a household’s energy usage. Up to half of the central air conditioning systems installed in homes in the United States never achieve the capacity and efficiency that they are designed for, due to improper installation. An organization called Air Conditioning Contractors of America (ACCA) has created American National Standards Institute (ANSI) standards for both quality installation and quality maintenance of heating and cooling equipment. While not endorsed by ENERGY STAR™ at the moment, the new ACCA ANSI standards are a good set of standards to follow to ensure that heating and cooling equipment is installed and maintained in a manner that maximizes its energy efficiency and climate control effectives. ENERGY STAR™ has its own installation guidelines for the installation of central air condition systems, called the ENERGY STAR™ Quality Installation Guidelines, which should also be followed to ensure equipment is functioning to design specifications. For equipment less than ten years old, quality maintenance that properly adjusts air flow, refrigerant charge, cleans coils, and verifies control settings is also recommended to maximize the efficiency and effectiveness of heating and cooling equipment. According to USEIA data, water heating equipment accounts for a nationwide average 9% of household energy usage, with regional variations due to differences in inlet water temperatures. Upgrading to ENERGY STAR™ rated water heating equipment should be considered to improve the efficiency of water heating within a home. Indoor and outdoor lighting typically account for less than 10% of household’s monthly electrical use, according to USEIA data. 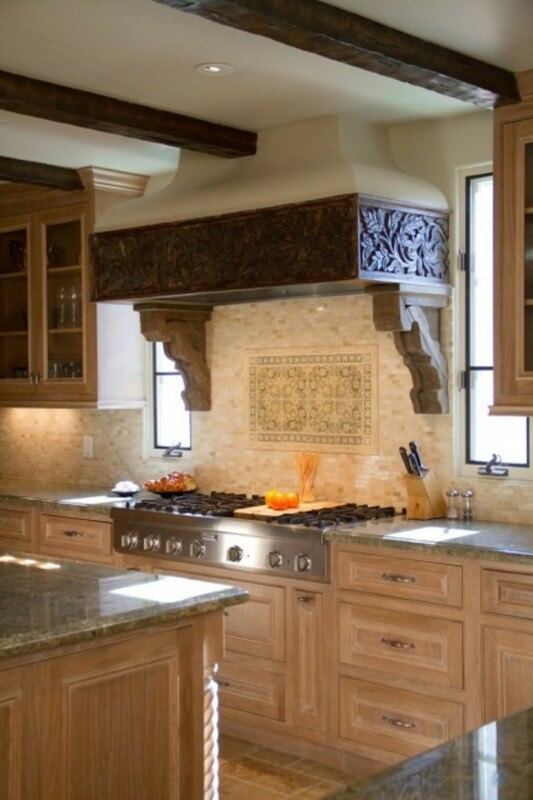 However, lighting should not be overlooked as an opportunity to save on energy usage. Upgrading lights from traditional incandescent light bulbs to highly efficient compact fluorescent lighting (CFL) can reduce lighting use by as much as 75%. An emerging lighting option that is even more efficient than CFLs are lights based on light emitting diode (LED) technology. LED lights are even more efficient than CFLs, and therefore the energy savings and cost savings from LED light usage will be even greater. While CFL and LED lights are significantly more expensive than traditional incandescent light bulbs, the savings from energy use over time and the fact that they last much longer than traditional incandescent light bulbs, will lead to overall cost savings over the life of the product in a home. LED lights are preferable since they are more durable than CFL lights and do not have the small amount of mercury that CFL lights have, which poses a debatable health hazard and requires proper disposal to keep mercury out of the environment. However, LED lights are currently considerably more expensive than CFL lights because LED lights designed for household applications are a relatively new application of LED technology. Once LED lights are mass produced and become the standard for home lighting, their cost should come down. According to USEIA data, household appliances account for more than half of a household’s energy usage, with refrigerators being the biggest energy hogs, consuming over 13% share of household’s energy usage. Appliances identified as being old and inefficient during a Home Performance With ENERGY STAR™ Whole-Home Home Energy Audit should be replaced with new appliances that carry the ENERGY STAR™ label. While renewable and alternative energy options such as: solar water heating, solar photovoltaic (PV) electricity, and geothermal heating and cooling are enticing options for homeowners that want to be green and utilize renewable and alternative energy sources, they are also quite expensive options. 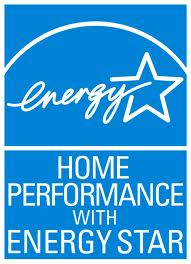 The goal of Home Performance With ENERGY STAR™ is to save energy within an entire household. Since homeowner’s monetary resources are typically limited, an effective home energy efficiency upgrade plan should focus on the most cost-effective energy efficiency solutions first. Once the home’s envelope has been properly sealed, and heating, cooling, lighting, and appliances have been upgraded, then, if a homeowner has money left to continue energy efficiency improvements, renewable and alternative energy options should be explored to save additional energy and energy usage costs. Many governments around the world provide incentives in the form of tax credits or tax deductions for implementing home energy efficiency improvements. These incentives vary from country to country and within local jurisdictions. It is a good idea to investigate and apply for all government energy efficiency incentives, as part of any home energy efficiency project. The money spent on household energy efficiency improvements, as recommended in a Home Performance With ENERGY STAR™ Whole-Home Home Energy Audit, will be wasted if the improvements are not made properly and if new heating and cooling systems and appliances are not installed properly to ensure they are operating as efficiently as they are designed to operate. It is highly recommended that a homeowner considering performing and implementing a Home Performance With ENERGY STAR™ Whole-Home Home Energy Audit,, first check with a local Home Performance with ENERGY STAR™ sponsor (a state energy office or utility) or the Building Performance Institute (BPI) to ensure that they are hiring ENERGY STAR™ and Building Performance Institute (BPI) accredited contractors to perform the energy audit and to carry out the recommendations of the energy audit. Building Performance Institute (BPI) is a nonprofit energy efficiency organization that sets national standards and protocols for safety, proper installation, and verification regarding the installation of energy efficient equipment and appliances. 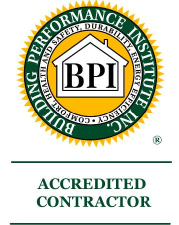 Building Performance Institute (BPI) is responsible for ensuring that participating contractors maintain high standards for quality. This typically includes providing specialized training for contractors and conducting quality assurance inspections to verify that Home Performance with ENERGY STAR™ projects are completed in accordance with standards. To make choosing ENERGY STAR™ products easier for consumers, the European Union has developed ENERGY STAR™ Top 10, a model supported by the American Council for an Energy-Efficient Economy (ACEEE), that identifies the top ten most energy efficient products in each ENERGY STAR™ category. In the United States, this effort to highlight the most efficient ENERGY STAR™ products in each category is known as Top Tier ENERGY STAR™, which is still under development. Building Performance Institute: National home performance and weatherization Standards and contractor credentials. Thank you for the in depth details. This is sure to save a lot of time, money, and energy in the future.